If you're new to PPC, SEO and Google AdWords, this glossary of search marketing terms by Farah Radford, managing director of creative agency Digivita, will help you find your feet. The digital realm has developed so quickly, it can be hard to keep track of all the industry jargon and terminology that’s become part of many practitioners' vocabulary. And online marketing terms and acronyms can be difficult to digest at times – especially if you’re trying to run a business at the same time – so we’ve compiled a list of common phrases and acronyms associated with both paid and organic search marketing. Ad position: The order your ad appears on a page in relation to other paid ads. Average cost-per-click (Avg. CPC): A useful ROI metric, this measures how much you’re paying, on average, for each click that directs someone to your website. Bid: This is the maximum amount you are willing to pay for a search keyword click. Bounce rate: This is the percentage of people that visit your site, then leave before they’ve visited any other pages. This makes optimisation of landing pages with calls to action important. Clicks: In PPC marketing, a click is registered when someone clicks on one of your ads. Click through rate (CTR): This key ROI metric is a way of measuring whether your Adwords or PPC campaign is a success. The CTR is determined by dividing the number of users who clicked on an ad by the number of impressions. Conversion: This is the desired action carried out by a customer visiting your site. Do you want them to buy a product? Become a client? Sign up to your newsletter? If you achieve your goal, it’s a conversion. Cookies: Not the snack. This is a small file which is saved on your browser to store preferences and other information. This can later be used to personalise your experience. Cookies are used to create those retargeted adverts that follow you around once you have looked at a particular product or website. 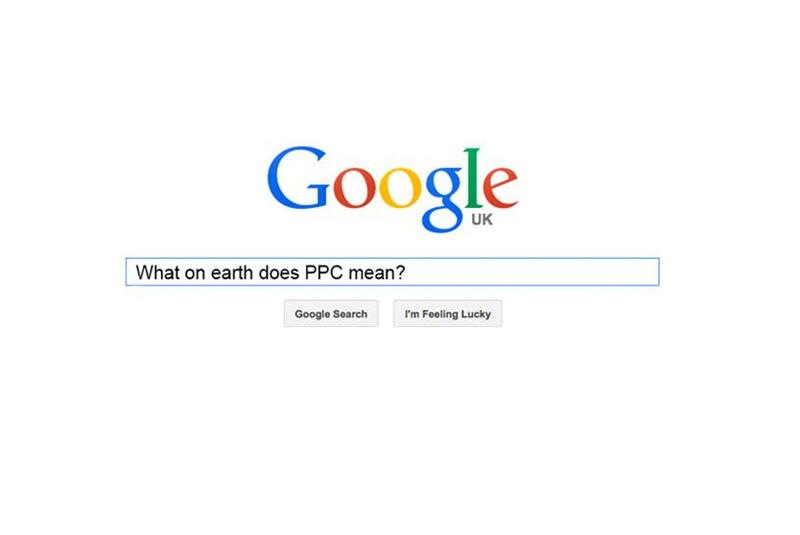 Cost per click (CPC): This is the amount that you pay to search engine companies whenever someone clicks on your ad. Competitive keywords can have a much higher CPC. Google AdWords: This is the world’s most popular online advertising platform – you can set up PPC advertising, site-targeted advertising and other campaigns from this interface. Impressions: The number of people who see your ad. You could have 1,000 impressions but only 100 clicks. Keyword: This is a word which is relevant to your business or service – it’s what someone might search if they were hoping to find a product or service like yours. PPC advertising targets these phrases. Landing page: This is the webpage potential customers are directed to when they click on your ad. It’s important for these pages to be fully optimised, with a call-to-action to create conversions. Pay per click (PPC): This is a type of advertising where you pay for each click received through an ad. The most common form of PPC ads are displayed on a search engine result page or on image ads on a third party website. You can set a limit to ensure you don’t exceed a certain amount and there are extensive analytical options available. Quality score: A complex formula devised (and kept secret) by search engines. This algorithm examines CTR and other metrics to decide whether your keywords are relevant enough for your landing page. This is then combined with your CPC to calculate the position of your ad. This adds to the need for landing pages to be optimised. Search partners: These are sites that have joined forces with Google to show your PPC advertisements on their search network. Alt-text: When search engines come across graphics, they can’t currently understand them the way that we can. Alt-text fields describe the content of the graphic for spiders and bots, to ensure search engines know what the image contains. Anchor text: This is the text that’s been hyperlinked. Anchor text is a factor that effects ranking so SEO advertisers should strive to ensure their anchor text shares some keywords with the referring sites and the landing page. Instead of using the anchor text click here use a more descriptive anchor text like, find out about our marketing services. Back link: This is a hyperlink from one page to another – backlinks are a strong ranking factor for Google and other search engines. The more quality backlinks a site or page has, the better it will rank. CMS: This stands for Content Management System. If you’ve ever posted a blog using WordPress or edited your site, you’ve used a CMS. Google Analytics: Another useful Google tool, this free optimisation service and analytical tool shows detailed statistics about visits to your site. Link building: This is the process of actively cultivating incoming links to a site to boost your ranking on a search engine. Meta tags: Statements within the HEAD section of an HTML page which furnishes information about the page to search engines' spiders or bots. Currently, meta descriptions aren’t ranking factors, but things like the meta title and keywords will be taken into account by search engines. robots.txt: This is a file in the root directory of a website, which is used to restrict the behaviour of search engine spiders. For instance, if you have duplicate pages or content, you can configure this file to ensure the spiders don’t pick it up. Search engine optimisation (SEO): This is the process of increasing organic traffic by catering to whatever a search engine considers relevant to a user. Every page on the web is analysed and ranked, and with good SEO practice, you can ensure your page ranks higher than competitors. Site map: An XML sitemap is a crucial element of SEO. You can find it in the root directory of a site – it helps search engine spiders find all of the site's pages. Spider (also known as a bot, or crawler): An automated software application through which search engines download the content on your website's pages and add it to their indexes. So there you have it – a starter list of the technical jargon and industry terminology you’ll need to know to navigate the search marketing realm. Can you think of any we’ve missed? We’d love to hear them in the comments.